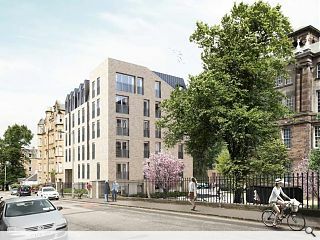 CALA Homes and Michael Laird Architects have teamed up for a residential conversion of the B listed Boroughmuir High School, Edinburgh, together with construction of a new build apartment block offering a mix of private and affordable housing. 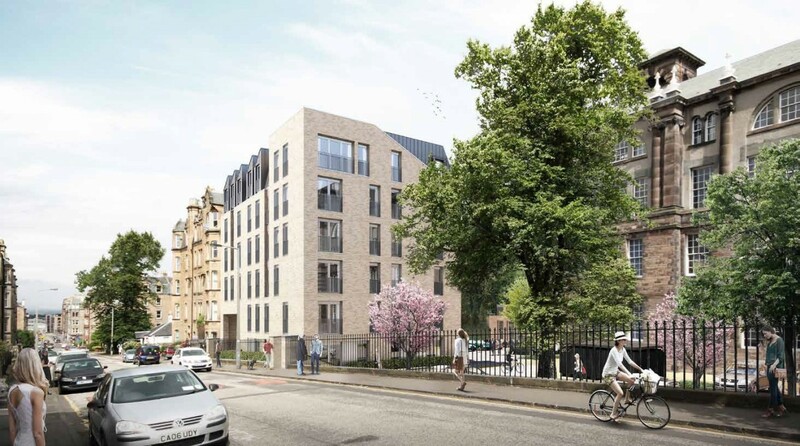 This will see 115 homes built within the schoolhouse and surrounding grounds as well as landscaped gardens which will take the place of a separate gym and assembly hall which are earmarked for demolition. 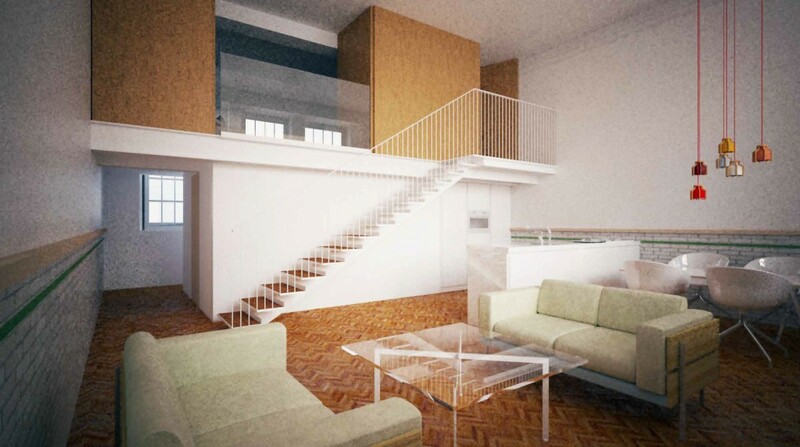 In addition a new build block is planned for the south west corner of the site which will extend the tenement line. 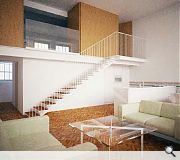 Explaining this element of the design the architects said: “A dormered upper storey will correspond to the neighbouring tenement. 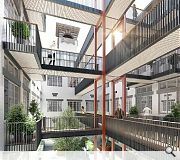 Structural interventions will be kept to a minimum within the school itself by inserting a single two bedroom apartment within each classroom bay, with a mezzanine level inserted to take advantage of generous floor to ceiling heights. 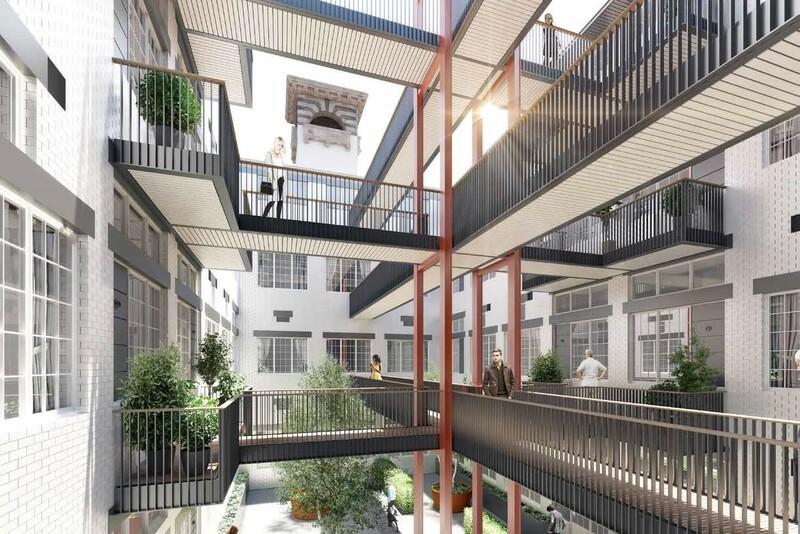 Rear courtyards will be activated by a series of elevated walkways designed to both interconnect all parts of the building and ensure that rear facades become active. Local residents now becoming very concerned about the parking provision issues arising from this proposal, as these are likely to impact the already difficult parking capacity in the surrounding streets.